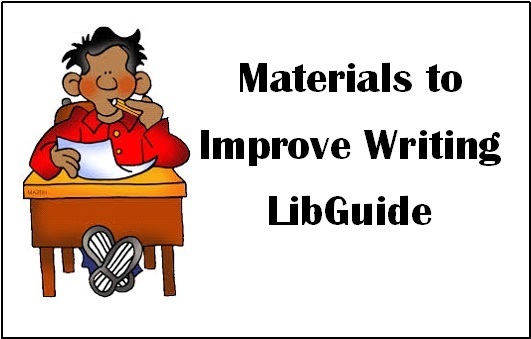 Now that a new semester is underway, the Materials to Improve Writing LibGuide might just be the resource to improve those writing skills. Not sure where to place the comma in your sentence? Check out Writing Skills Success In 20 Minutes a Day. It will provide you examples and practice in putting in those commas. You can choose from any of the 20 lessons or do them all to brush up. There are books on creative writing, improving your style, and writing to the point. If you are off-campus we have a list of e-books to choose from. Select the tab “E-books” and click on the link. The link takes you directly to the book in most cases. For some of the titles you may have to click on the .pdf or the EPUB full text link on the left side. If you are more visual, there are videos and streaming videos on the “Videos” tab of the “Websites” tab. You can find the Materials to Improve Writing LibGuide via the Bellevue University Library website. On our homepage at http:// libguides.bellevue.edu/, look under the “Find” drop-down menu for the “Subject, Course, and Research Guides” link. This link will take you to a list of all the Library’s LibGuides. Originally posted in the Freeman/Lozier Library’s quarterly newsletter, More Than Books, V. 21 No. 1, Winter 2017.